Maria Waldelurdes Costa de Santana Dutilleux (born September 23, 1961 in Salvador, Bahia, Brazil), known by the stage name Daúde, is a Brazilian musician, singer-songwriter, and scholar. At age 11 she moved to Rio de Janeiro. She studied singing with baritone Paulo Fortes at the Music Villa-Lobos Performing Arts School in Martins Pena. She attended college and graduated with a degree in Portuguese Literature and earned a post-graduate degree in African history. Daúde began her musical career singing in plays and nightclubs. 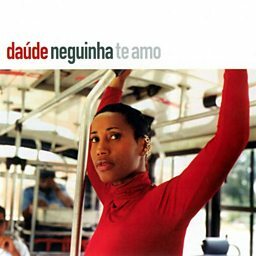 She obtained the opportunity to record her first CD "Daúde" in 1995. She received critical acclaim, winning such awards as the Sharp Music APCA (Association of Art Critics São Paulo), and the Journal of Brazil Readers Award. Two years later, she released "Daúde # 2", produced by Celso Fonseca and producer Will Mowat English. In 1999 she released "Simbora", a remix CD of songs from previous albums, aiming to link the new interpretation to the pleasure of dancing. The sound of the new CD's music fuses definitely Daúde, the MPB and the resources used in electronic music, affirming the importance of music producers and DJs as creative artists and necessary in this current musical scene.